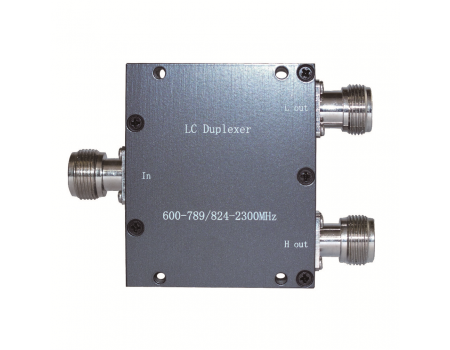 The SureCall SC-DPLX-01 Wide-Band Diplexer separates an input signal into 700 MHz and 800 to 2,200 MHz outputs. 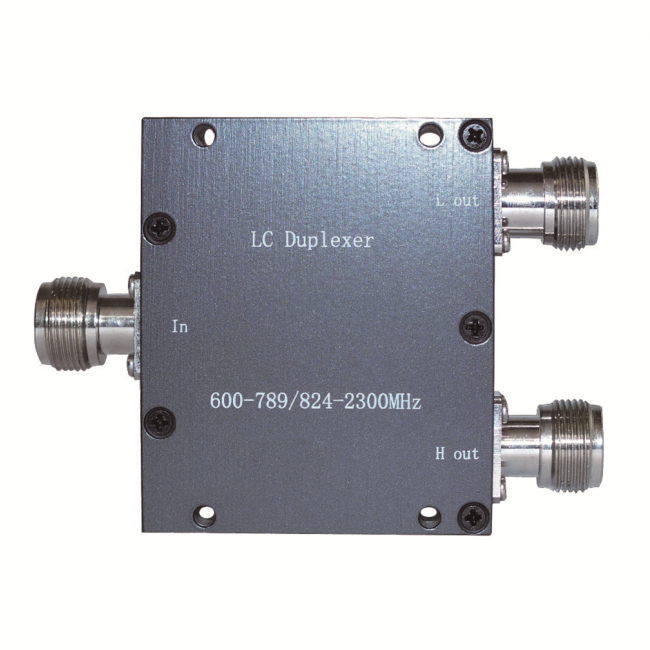 The SureCall SC-DPLX-01/CMDPLX-01 Wide-Band Diplexer, sometimes called a Frequency-Specific Combiner, is used to split and combine two frequency ranges. The most common use is when you have two amplifiers with a single inside and outside antenna where one of the amplifiers is a 700 MHz LTE specific amp. Another use would be in cases where you needed to use two frequency specific inside or outside antennas. The SureCall CMDPLX-01 Wide-Band Diplexer operates much like a bi-directional splitter but instead of splitting the signal evenly in half, it instead sends one frequency range out of one port and the other frequency range out of the other port. On the Low port, the diplexer sends 698 to 787 MHz. On the High port, the diplexer sends 824 to 2,200MHz. Each port has a 1.5dB insertion loss. The Diplexer is bi-directional and works as a combiner in the other direction. To use two amplifiers with a single inside and single outside antenna, you will need 2 diplexers and 4 short jumper cables with N-Male connectors.